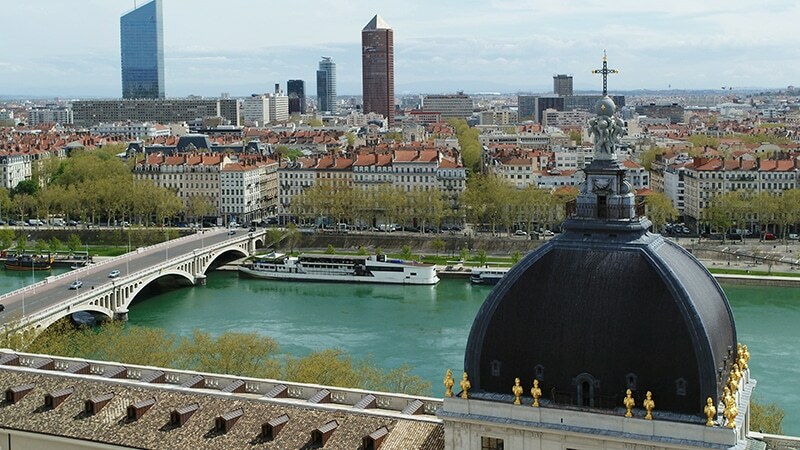 Eight years after the hospital doors closed and five years after the start of construction, Lyon’s Grand Hôtel Dieu is ready to welcome back its loyal Lyonnais. 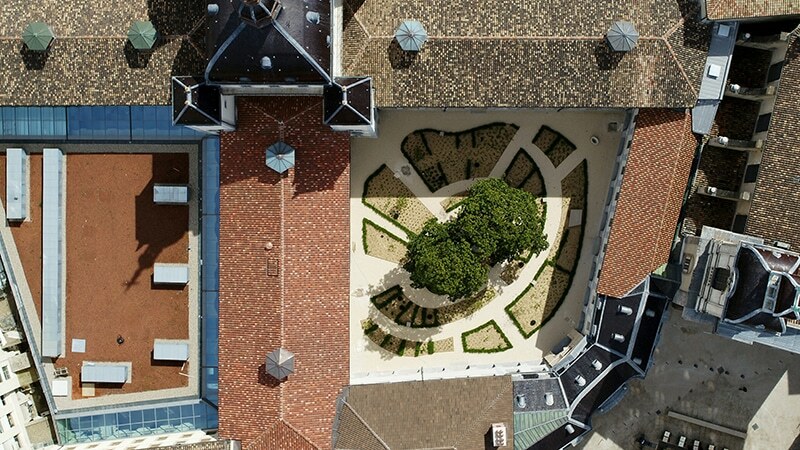 After five years of construction, Lyon’s Grand Hôtel Dieu (2nd arrondissement) opened its doors on Friday, April 26, 2018. The former hospital has been transformed into a commercial space with shops, restaurants, offices, and a hotel. 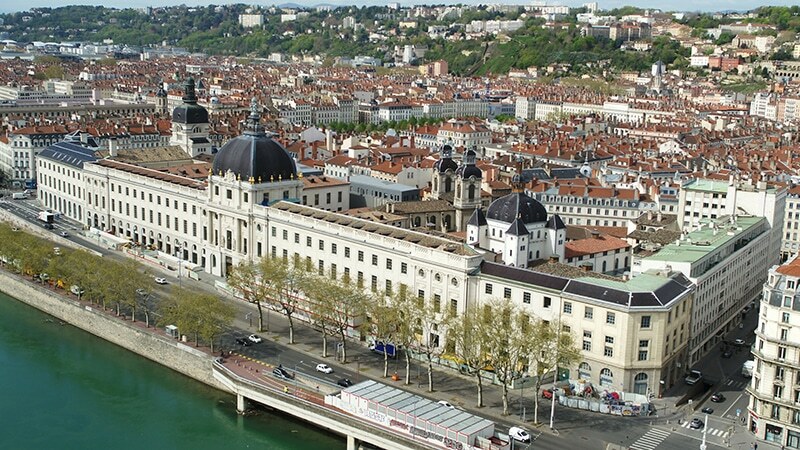 Hôtel Dieu has long been one of Lyon’s most important landmarks, as a prominent hospital where many generations of Lyonnais were born. In 2010, a lack of resources and the deterioration of the centuries-old building caused the hospital to close, and the building was sold to Crédit Agricole Sud-Est. Now, after five years of work led by the Eiffage Group and architects Albert Constantin and Didier Reppelin, the mammoth of Lyon’s medical prominence will once again welcome the city’s residents and visitors. 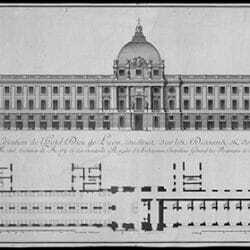 In place of the hospital, Grand Hôtel Dieu is now home to a massive commercial and business center. It’s 51,500 square meters of space is made up of 42,000 m2 of refurbished sections dating as far back at the 16th century alongside 11,500 m2 of new construction. The commercial center is made up of over 35 shops and restaurants including Blanc Cerise, Clarins, Buddha Bar, and Beefhouse. The building also houses 14,000 m2 of office space and another 837 m2 for housing. Linking it all are vast courtyards and gardens, all formerly parking lots. 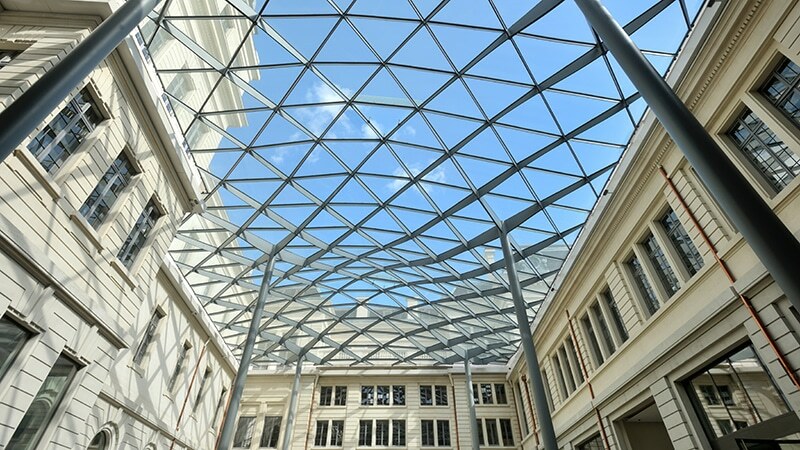 A glass ceiling tops the southern courtyard, made up of 400 windows for a total 1100 m2 of glass. The opening marks the start of a two-month inaugural festival, running through June 21 with themed weeks offering contemporary dance workshops, yoga, guided tours, coffee tastings and more. The hotel is scheduled to open in 2019, while the City of Gastronomy will open later that same year.